The Waukegan Park District provides and abundant array of recreational opportunities and its 735 acres of parklands protect drinking water and important habitat for many endangered plants and even some endangered animals. Over the last 100 years, the District has acquired and preserved open spaces throughout the community. The benefits of preserving and protecting open spaces and natural areas in our watershed are well documented and extend to all residents living in Waukegan. We have an extensive recycling program…everything from gym shoes to batteries to plastic bottles. We extract about 80% of waste from our general containers for recycling. We have the community involved in green initiatives. 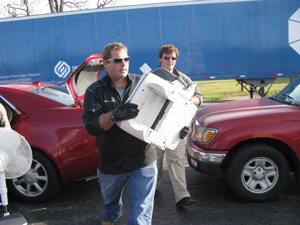 Our electronics recycling day was a huge success, filling two and a half semi trailers to capacity. Over forty tons of material was sent for recycling and kept out of the landfill. Green programs have been offered and are becoming more and more popular for the entire family. The Live Green Family Festival is April 28th in Bowen Park. This is a great opportunity to spend time with your family and friends outdoors. Green designs have been incorporated into our projects. We have converted most of our lighting to fluorescent or LED, saving thousands of kilowatt hours and money. Our environmental policy, Carbon Management and Sustainability Plan and Strategy will point us in the right direction for continued excellence in the future. Sustainability is not only about going green to save the earth. Think about taking care of yourself and your family by participating in one of the programs, services, and activities we have that will benefit your well being! See you in the parks for some fresh air and fun! Please feel free to call me at 847-360-4721 if you have any questions. The community and the Park District are increasingly aware of the environmental issues that affect the quality of life. It is the intent of the Park District to assume a leadership role in the development and use of sound environmental policies, practices and educational opportunities. By incorporating the following environmental principles, practices and procedures and by prescribing to our statement of philosophy, the Park District shall set a high standard of leadership and competency in maintaining and improvement the quality of the environment. Bowen Park is a beneficiary of an environmental preservation grant received by the Citizens Advisory Group in partnership with the Waukegan Park District. The Great Lakes Restoration Initiative, a federal grant is providing for the full restoration of 30 acres of the Glen Flora Ravine in Bowen Park. The $1.4 million grant aims to protect the waters of Lake Michigan and preserve the second highest quality ravine in Illinois’ Lake Michigan watershed. Underway are assessments that will provide a baseline of existing habitat, plants and animals. Stream banks are being stabilized and nonpoint source pollution best management practices are being implemented along the highly vulnerable ravine system and riparian floodplain corridors of Bowen Park. Invasive plant species are being eradicated and replaced with native plantings creating a healthy habitat for threatened and endangered plants and animals. The Bowen Park ravine system hosts numerous threatened and endangered plant species (both state and federal, is a high quality migratory bird stopover site and hosts many nesting species in its steep ravine interiors which overlook an equally rich wetland below before draining into the Illinois Beach State Park Nature Preserve by Lake Michigan. The Bowen Park ravine system has been a significant tour site for The Nature Conservancy, Garden Clubs of America, Chicago Wilderness Natural Areas Management team and their Corporate Counsel, and is a site for the Chicago Botanic Garden Plants of Concern training. The College of Lake County uses Bowen Park as their ravine laboratory for their Natural Areas Management Certificate Program, and Lake Forest College uses it in their Environmental and Health related fieldwork curriculums. Bowen Park will be a part of the national Natural Area Managers Site tours for the October 2013 conference in Chicago. Because the Bowen Park ravines are a high quality urban nature sanctuary, we are asking the public to stay on the paths when exploring and enjoying this special place. Another reason to stay on the paths is personal safety. Natural areas abound with poison ivy and animals that nest on the ground including bees. Please help us preserve this special area! The Waukegan Park District wished to add a series of family programs that would support the acquisition of good nutritional habits and the exploration of nature. 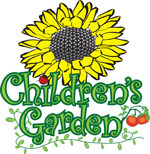 A children’s garden was determined to be a fun, hands on method of engaging families outdoors in growing their own food and adding fresh foods to their diets. 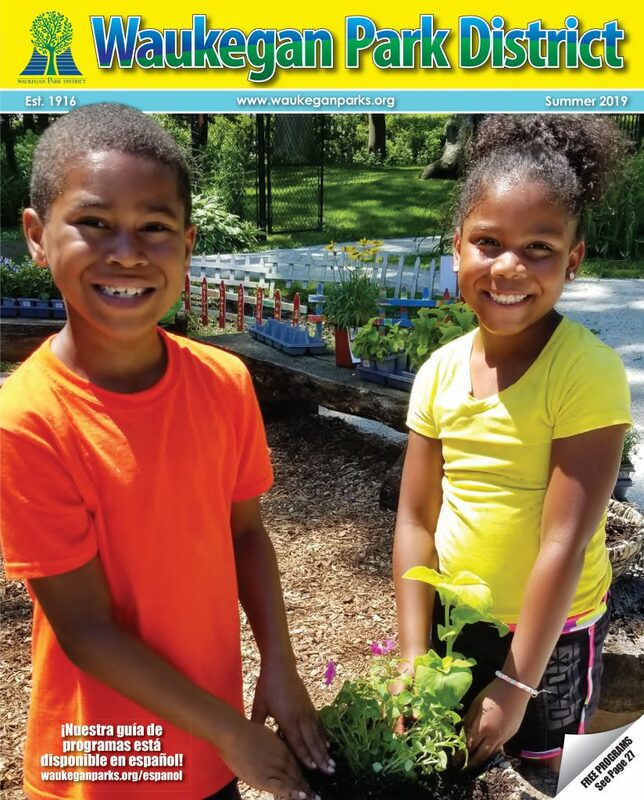 Because of their interest in sustainability, the Waukegan Park District approached Midwest Generation, now NRG Energy, for assistance with the children’s garden. Employees from Midwest Generation built and installed the learning circle benches, demonstration box, garden containers and worm box. Plantings by campers and families participating programs tend the boxes throughout the growing season. The Children’s Garden provides a special place for the Waukegan Park District’s nature based programming thanks to the continued support of NRG Energy. Thank you NRG Energy! Each year, millions of shoes will end up in landfills. SWALCO partners with Nike and the Waukegan Park District to creatively reuse/recycle worn-out athletic shoes. Shoes collected will be ground up and turned into new athletic surfaces like running tracks, playgrounds and other sports surfaces. Gently worn shoes will be donated to a local shoe charity.The Field House Sports and Fitness Center in Hinkston Park, 800 N Baldwin Avenueand the Belvidere Recreation Center in Belvidere Park, 412 S. Lewis Avenue have receptacles for you to deposit your worn athletic shoes. Seasonal collection can also be done at the SportsPark Concessions at 3391 W. Beach Road. 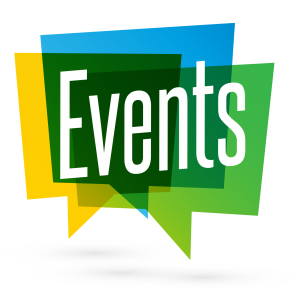 For more information, contact SWALCO at (847) 336-9340. The Waukegan Park District recycles used ink cartridges. We collect used ink cartridges in two locations: The Belvidere Recreation Center at 412 S. Lewis Ave and the Field House Sports and Fitness Center at 800 N. Baldwin Ave. Any county business, church, or school is invited to use this recycling program. We will accept toner cartridges, but no tanks or tubes. As for ink jets and laser toners, we will be recycling brand name cartridges only (i.e. HP, Epson, Canon, Dell, and Lexmark). According to current statistics, only 5% of empty printer cartridges are being recycled - this means that 95% of these items are simply discarded and end up in landfill sites. Plastics used in printer cartridges can take over ten centuries to decompose, that is over 1,000 years. Let the Waukegan Park District help you go “Greener” too! Proceeds from this recycling program will be used to help sponsor park district programs and events during the year. Please call the Belvidere Recreation at 847-360-4700 for more details. T/F Waukegan recycle bins accept co-mingled recyclables. T/F Paper milk and juice cartons can be recycled. T/F Household plastic containers can be recycled in blue bins. T/F Small appliances, household batteries and auto parts cannot be recycled in blue bins. T/F Plastic bags/wrappers should be stuffed into one bag, tied closed & recycled a participating grocery or retail store. T/F Plastic foam items can contaminate an entire load of recyclables and should not be placed in a recycling cart or bin. T/F Plastic bags/wraps should be removed from newspapers, magazines, catalogs and phone books before placing in a recycle bin. T/F All food containers should be rinsed out and free of excess food residue before placing in blue bins. T/F Leave original caps, rings and lids on all containers when recycling in the blue bin. T/F Cardboard can be recycled, large items should be cut into pieces no larger than 3’ X 3’. For more information about recycling, please contact SWALCO at 847-336-9340 or visit www.swalco.org. For information about residential recycling in Waukegan, contact Waukegan Public Works at (847) 360-0944. Create an environmental action plan that reduces the carbon footprint and implements best practices at Waukegan Park District facilities and parks. Educate and involve the community in green practices and conservation. Completed the Illinois Parks and Recreation Environmental Report Card. Established baselines for recycling, electrical conservation, water conservation, green practices, and green purchasing. Recycling containers were placed in parks. Athletic shoe recycling at the Field House and Belvidere Recreation Center was initiated. Ink cartridge recycling for all facilities and public. Household battery recycling for district and employees. An annual Community Recycling Event has been held since 2012. Permits are issued periodically to the Waukegan Park District to conduct controlled burns in certain designated natural areas of Roosevelt Park, Henry Pfau Callahan Park, Hinkston Park, Powell Park and Bonnie Brook Golf Course and other parks as needed. The controlled burns are weather permitting and happen in the spring and fall. The burns are used to improve and maintain native plant communities and wildlife habitats. Periodic fires were once common on the Illinois prairie. Few native plant habitats remain since these fires were eliminated many years ago. Prairie plant seeds remain dormant in the ground and only a fire will reawaken their beauty. Now, the trend is to reintroduce fire back into the ecosystem to control growth of invasive plants, making room for native plants to thrive. The grass fires will pose no threat to life or property, nor woodland and wildlife because of the slow burning characteristics of the fire and monitoring by staff. 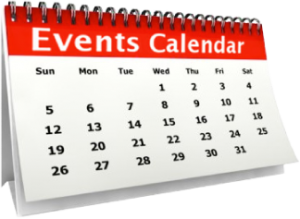 Notification of the exact times and dates shall be made to the local police and fire department once these are set. If you would like more information or have any questions concerning the controlled burn program, please call the Parks Department at 847-360-4725.